The Chepang, one of the Nepal’s most disadvantaged and marginalized indigenous group, are struggling to educate their children. While many parents are managing to keep them in school, they worry that poverty will put an end to education. “We constantly worry that the children will drop out because they are always tired when they reach home and don’t have energy to concentrate on their studies, in response, the community has established a chepang children home so that they don’t have to walk from their homes each day. 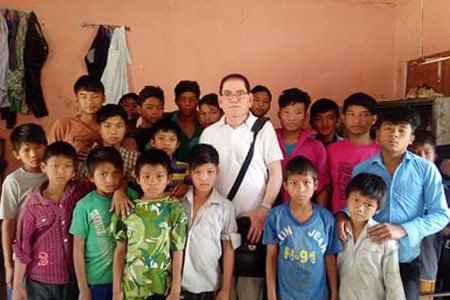 The Chepang society orphanage runs on donations. It isn’t involved in any income generating activities and gets no help from the government. Donations to the Chepang orphanage come mostly from abroad and volunteers working in the orphanage. Although a small donation might not sound like much to you you’d be surprised how much the Orphanage can do with it. When you join We Volunteer Nepal Charity trek program, $100 of your donation goes directly to the chepang orphanage. This money will help the orphanage buy food, educational materials and cloths for these children. Your assistance makes a big difference in these children’s lives. If you want, you may visit the chepang orphanage in chitwan to meet the children.